The Caterpillar 301.4C Mini Excavator is a compact and powerful machine. Weighing-in at just 1380 kg (3,042 lb), in its standard configuration with the canopy, it is easy to load and transport to site on a conventional trailer. At just 730mm wide the Cat 301.4C is also able to access and operate within confined sites, providing ample power with its 17.9kW engine for heavy duty tasks. The Cat 301.4C has an extending undercarriage and fold-out dozer blade which allow the excavator to be configured to create excellent stability and optimum performance. The blade extensions are easy to rotate and lock out of position using retaining pins, which minimises the possibilities of losing parts. Our Cat 301.4C Mini Excavators are available for hire on short or long term contract hire. The Cat 301.4C is easy to transport to site on a conventional trailer towed behind a pick-up truck or a van. It also has two threaded bosses mounted in the roof which allow crane lugs to be fitted, making it easy to lift of the excavator across construction sites. With your excavator you can also hire a choice of buckets and attachments for various tasks. We have breakers for breaking up paving, concrete or road surfaces and demolition works. 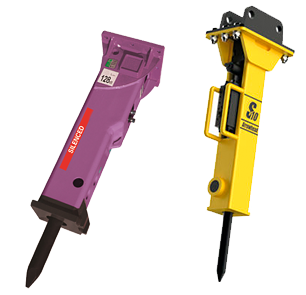 We also have borers and augers for digging holes, which are ideal for installing posts or stanchions for fencing and barriers, or planting trees. We offer a choice of hydraulic breakers for hire with Cat Mini Excavators which are ideal for demolition projects such as breaking up pathways and paved areas, concrete or roads. 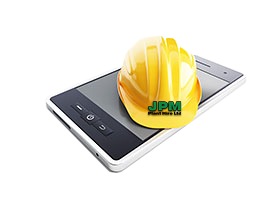 The breakers come with a choice of tools to suit the nature of the project. If you project requires you to bore holes in the ground to install stanchions or posts, fencing or barriers, or to plant trees, we can provide you with an auger or borer attachment to create the holes. 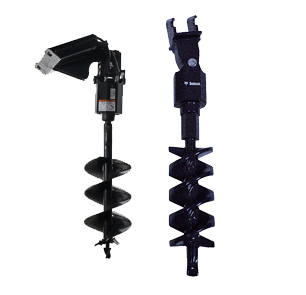 We offer a range of auger and borer attachments that make it easy to accurately bore holes into the ground. With the hydraulic power of Cat Mini Excavators these attachments will make light work of your ground works. For more information about hiring a Caterpillar 301.4C Mini Excavator and attachments, or to book your excavator hire, please speak to our Hire Desk team.